Win7 multi PE will be coming soon. Supported 32+64 with Vista, Win7 and Vista all SPs. 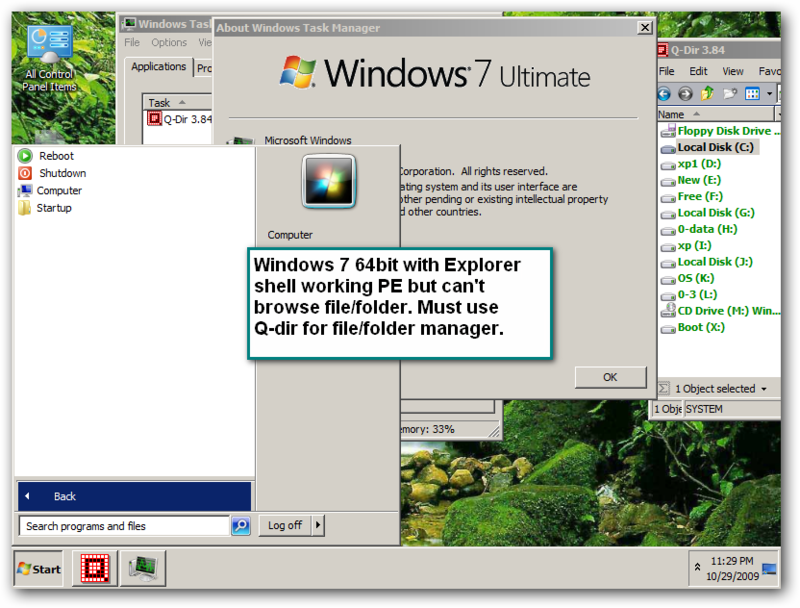 Native Explorer Shell support but not fully functional in 64bit Win7 yet. Win7 PE 64 bit with Explorer shell. 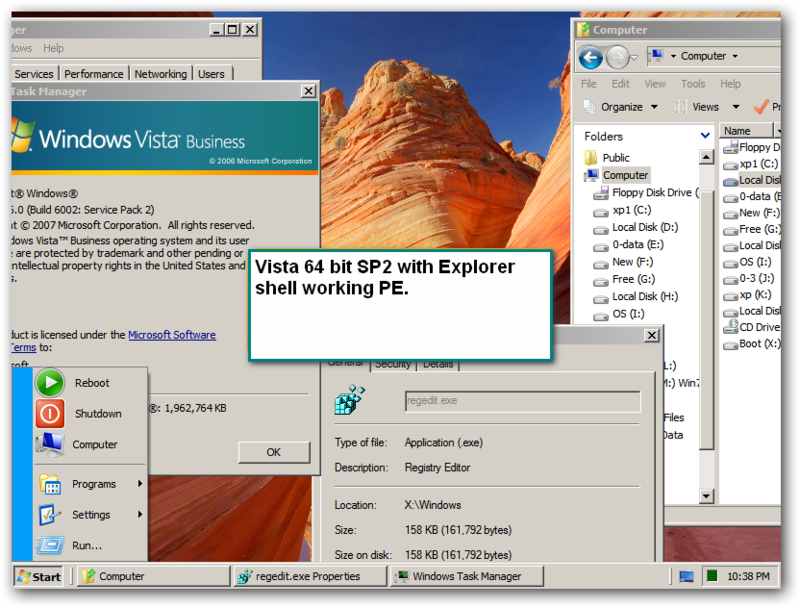 Vista PE 64 bit with Explorer shell. Win7 PE 64bit with Explorer shell. Server 2008 SP 1 64bit with Explorer Shell. wow this is awesome, any chance you could please share the source to the win7 x64 shell? just the shell i'll add it to my own winpe Thanks! Excellent. Like the Simpsons Mr Burns says it.